Great Value Large White Eggs are a delicious way to get in your daily recommended amount of protein for a healthy lifestyle. Our tasty eggs have received a Grade A rating from the USDA, so you know you're purchasing a high-quality product. Serve them scrambled alongside some rye toast and sliced strawberries, or hard boil a few to take with you for a tasty, wholesome snack on the go. You'll love the nutrients jam-packed into this tiny, protein-filled superstar. 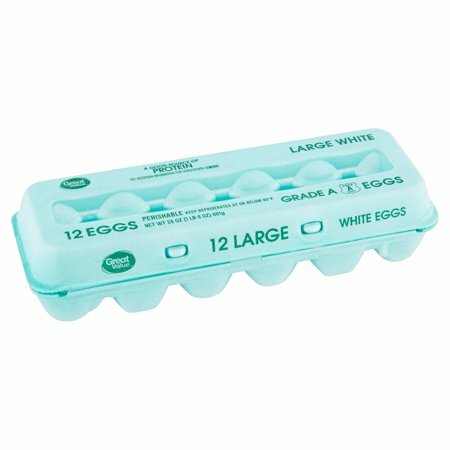 Make breakfast time, dinner time, or anytime healthier with Great Value Large White Eggs. <br /> <br />Great Value products provide families with affordable, high quality grocery and household consumable options. With our wide range of product categories spanning grocery and household consumables, we offer you a variety of products for your family's needs. Our products are conveniently available online and in Walmart stores nationwide, allowing you to stock up and save money at the same time. Great Value Large White Eggs are a delicious way to get in your daily recommended amount of protein for a healthy lifestyle. Our tasty eggs have received a Grade A rating from the USDA, so you know you're purchasing a high-quality product. Serve them scrambled alongside some rye toast and sliced strawberries, or hard boil a few to take with you for a tasty, wholesome snack on the go. You'll love the nutrients jam-packed into this tiny, protein-filled superstar. Make breakfast time, dinner time, or anytime healthier with Great Value Large White Eggs. KEEP REFRIGERATED AT OR BELOW 45∘F. To prevent illness from bacteria: Keep eggs refrigerated, cook eggs until yolks are firm, and cook foods containing eggs thoroughly. Instructions: Safe Handling Instructions: To prevent illness from bacteria: Keep eggs refrigerated, cook eggs until yolks are firm, and cook foods containing eggs thoroughly. 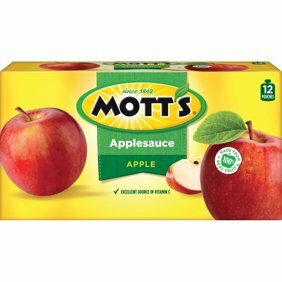 ....than the more expensive brands Some of these "fancy" brands are watery and flavorless. There is no reason to pay twice as much. These store-brand eggs are just fine. Walmart brand was just as good as the other name brand. I get these eggs all the time they are super good and cook well. Dont believe any of that nonesense that says that these eggs bounce. Healthy eating at a reasonable price!!! These eggs are delicious!!! I eat a lot of eggs for the protein and find the Great Value brand an excellent choice for taste and price!! !